The Sea-glass Mosaic Quilt designed By Dealer Michelle Harris for APQS National Education and Service Director, The Pattern is available for free. 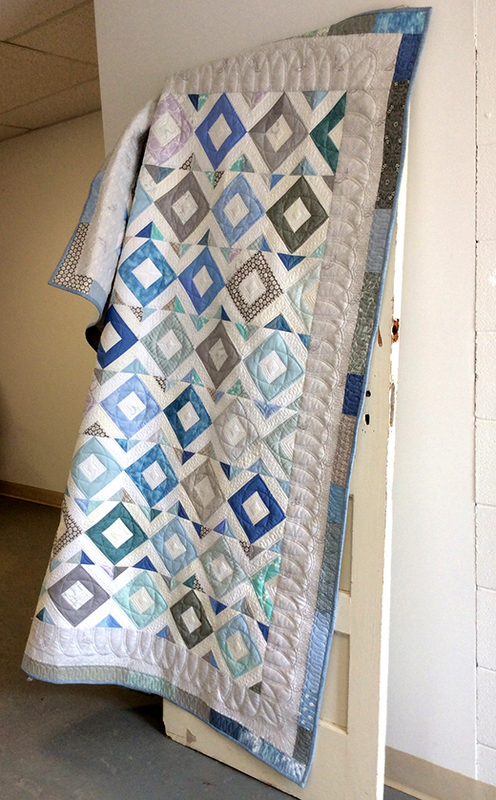 Though the quilt looks complicated, it’s made from one simple, repeating block. A half-block section on alternating rows creates the staggered effect, leaving smaller triangles that float between the blocks.